From boutique 'experience' accommodation above a Surry Hills cafe to a huge new luxury complex on Brisbane River and a hotel that lets you choose your own room. It's not your imagination — there really has been a heap of stunning new hotels open in Australia this year. 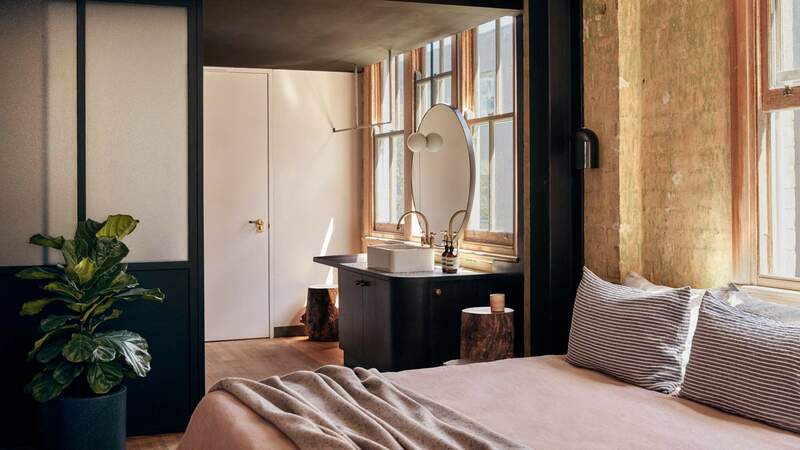 Australia's hotel scene is already stacked with some remarkable stays, both in the major cities and in the regional corners of the country. And as our tourism economy has continued to boom, the last six months has seen more boutique and luxury chain hotels open on our shores. 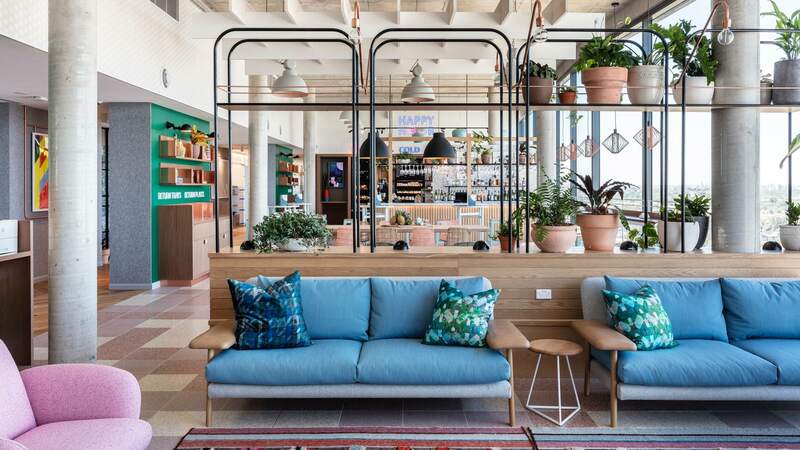 From boutique hotels with lush gardens to a wine lovers' dream stays or vibrant 'choose-your-own-adventure' lodgings, there are some seriously impressive (and incredibly designed) new hotels awaiting your arrival — whether on an interstate trip or a sneaky staycation. Read on to find out which 2018 hotel openings to pencil into your travel calendar as soon as possible. Brisbanites should be well aware of the CBD's riverside stretch that's synonymous with bland buildings and a hurried expressway. 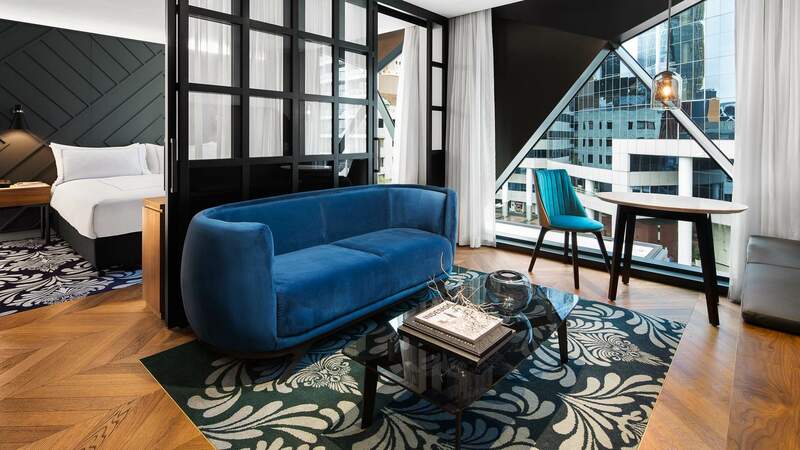 But with the arrival of W Brisbane — marking W Hotels' first foray back into Australia before it opens hotels in Sydney and Melbourne — the northern bank has received a much needed spruce. Offering views across the water to Queensland Museum, the State Library of Queensland and GOMA, the five-star hotel boasts 312 designer rooms equipped with ten-gallon drum baths and in-suite cocktail stations. On the fourth-level, you'll find a pool with some funky geometric décor. There's also a 150-seat restaurant from celebrated restaurateurs Three Blue Ducks. Looking out over Brisbane River, guests can enjoy signature dishes like spanner crab scramble, congee with pulled pork and hay smoked salmon kedgeree. W Brisbane is location at 81 North Quay, Brisbane. Make a reservation here. 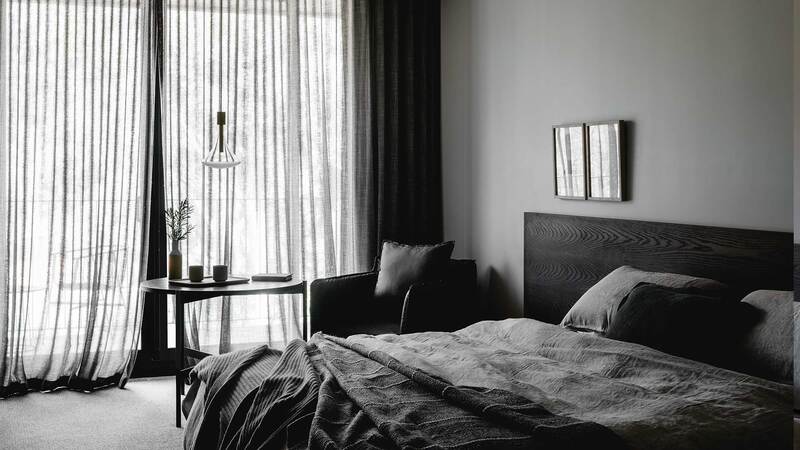 When Paramount House Hotel was first announced back in August of 2017, the hotel promised it wouldn't be your standard luxury hotel, but rather an immersive experience that would embed patrons into the culture of Sydney's inner city suburb of Surry Hills. All we can say is that it's delivered on that guarantee. Set in a 1940s warehouse above Paramount Coffee Project, the 29-room hotel features soaring ceilings with exposed brickwork and rafting and even has a rooftop gym and cafe. 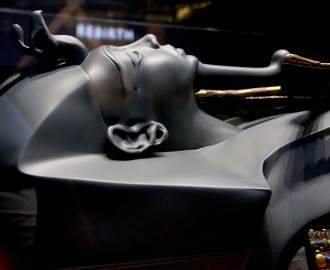 And while there's luxury copper finishes, Jardan sofas and premium kilim rugs from Pakistan, the appeal of the place is less tangible in its nature. It's both the vibe and history of the surrounding community that make Paramount House Hotel special. Positioned opposite the Royal Botanical Gardens, United Places' remit was to create a home away from home. And its success is immediately apparent, with the outside greenery extending into the 12 luxury suites, creating a space that you'll never want to leave. Each offers hardwood floors and polished kitchens, while terraces with sweeping city and parkland views round out the cosy living spaces. While you're there, you'll get to have a taste of Melbourne chef Scott Pickett's latest restaurant, Matilda. Pickett's contemporary Australian cuisine is produced entirely over open flames and hot coals — and you won't have to leave your room to enjoy it, with the high-end meals delivered directly to your suite. Dining at the restaurant is an experience in itself though, so we'd recommend heading in one night, too. United Places is located at 157-159 Domain Road, South Yarra. Make a reservation here. 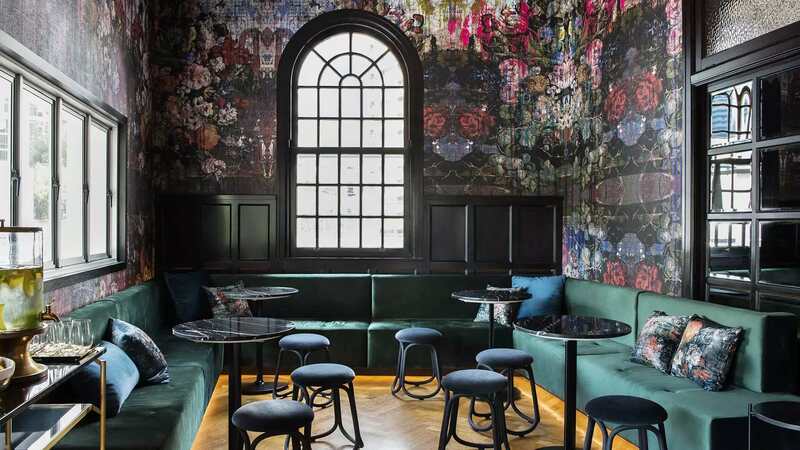 From rooms inspired by wine vintages to rooms that a spy might book for the night, Camperdown's The Collectionist is set on offering patrons something different. The place has a rather unique approach, in that it lets you pick which one of its 39 rooms you want to spend the night in when you check in. 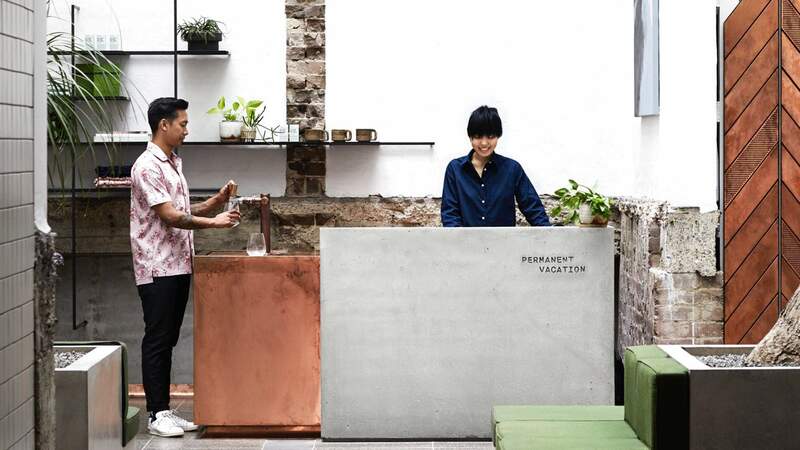 Billed as a 'choose-your-own-adventure' hotel, it's meant to be a highly individualised experience, with patrons touring the rooms and getting their access code via SMS. The hotel has collaborated with seven designers and 13 artists to create the innovative experience and each space features its own distinctive colours, textures and mood. While there's no restaurant on-site, the lobby hosts daily social drinks from 4–8pm. 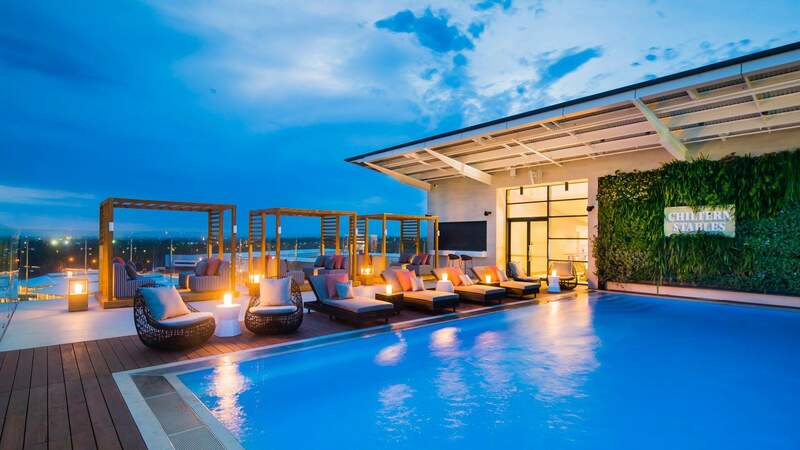 If you're the type who appreciates a bit of old-world glamour, then Brisbane's new Ovolo Inchcolm is the hotel for you. A former residence and medical centre, the 1930s building has been returned to its roots — albeit with a distinctly modern twist — presenting a charming art deco fit-out. But the hotel doesn't get lost in the past in every aspect. The addition of Salon de Co, a sprawling bar and restaurant, serves up modern rhubarb martinis or goji berry and vodka combos. Meanwhile, chef Anthony Hales' menu adds a bit of mystique with a sparse list of ingredients to keep diners guessing. The rooms, suites and a split-level loft dial back the theme a touch, but with a free minibar, and bookshelves loaded with timeless novels, you might find yourself dreaming of a simpler time. Ovolo Inchcolm is located at 73 Wickham Terrace, Spring Hill. Make a reservation here. Set in the scenic Goulburn Valley wine region in Victoria, this recently opened accommodation is as good as the on-site winery. 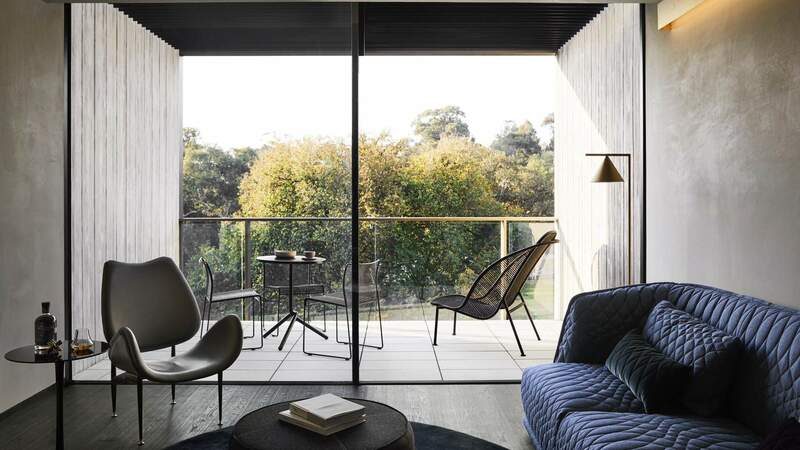 Featuring a palette of moody, rural tones designed by acclaimed architectural practice Hecker Guthrie, the Mitchelton is a wine lover's dream escape. Chef Daniel Hawkins (POW Kitchen, Newmarket Hotel, Stokehouse) helms restaurant The Muse, which serves ethically farmed produce found throughout the Nagambie Lakes district. Boutique chocolate producers The Ministry of Chocolate run the decadent café, while Mitchelton Gallery of Aboriginal Art displays works from 15 Indigenous communities from across Australia. If you're lucky enough to stay here, you'll get a full selection of Mitchelton Wines as soon as you step inside the door. Mitchelton Hotel is located at 470 Mitchellstown Road, Nagambie. Make a reservation here. While The Byron at Byron may not exactly be new, this year's massive revamp makes it worthy of a place on this list. Having shut up shop for six weeks to undergo the renovations, renowned interior designer practice Luchetti Krelle — and executive chef Matthew Kemp — led the extensive face-lift of the restaurant, bar and accommodations. Working closely with a range of local artists, the enhancements manifest themselves quickly. There's a fancy copper island bar and a verandah that blends into the lush surrounding forest. Kemp's restaurant serves seasonal cuisine with Asian, modern Australian and European flourishes, while the rooms and suites are warmly furnished making for a homey resort stay. 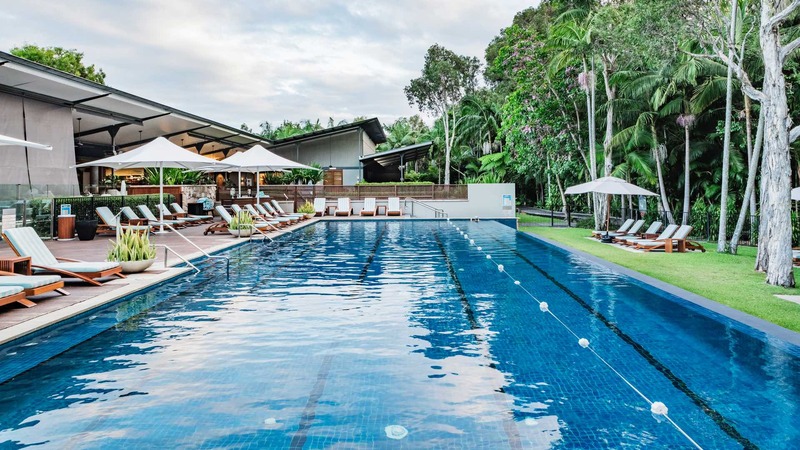 The Byron is located at Byron at 77-97 Broken Head Road, Byron Bay. Make a reservation here. It's hard to ignore the West Hotel's 'Chanel handbag' façade, which according to designers Fitzpatrick + partner, was the visual representation of the hotel's entire space and vibe. Set on the Darling Harbour waterfront, the 182 designer rooms feature bold furnishings aimed at judicious travellers who seek out luxury. With botanical motifs abound, there's also an openair atrium serving as an oasis from the busy city streets below. And there are more where those came from, too. 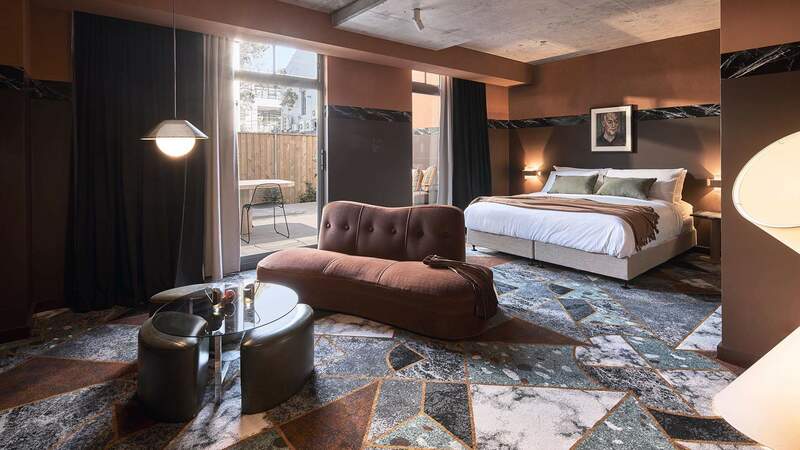 Melbourne is set to score a new luxury Jackalope Hotel on Flinders Lane, a new Art Series hotel will open at Brisbane's new Howard Smith Wharves precinct, and W Hotels will be opening hotels in both Sydney and Melbourne in 2020.